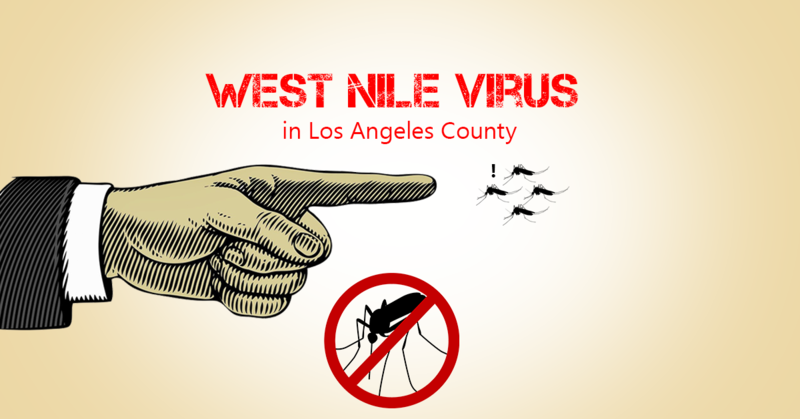 Los Angeles County, Calif. — In recent weeks, the Greater Los Angeles County Vector Control District (GLACVCD) has seen a marked increase in West Nile virus (WNV) activity across its jurisdiction. Forty-nine mosquito samples tested positive for WNV last week alone. Year-to-date, the vector control district has detected West Nile virus activity in more than 50 cities and communities within its jurisdiction. As of August 11, the Los Angeles County Department of Public Health confirmed 22 human cases, ten of them from the San Fernando Valley within GLACVCD’s boundaries..
“San Fernando Valley is of heightened concern for us this year,” noted Susanne Kluh, the District’s scientific-technical services director. Residents planning to spend time outdoors are reminded of the importance of preventing mosquito bites and removing sources of standing water where mosquitoes lay eggs and develop. Infection with WNV is often mild, but the virus can cause significant cognitive and neurologic symptoms in some patients. Milder fever and body aches can progress to weakness, confusion, & paralysis which can take months to years of recovery, or even result in a patient’s death. The Centers for Disease Control (CDC) recommends products with the active ingredients DEET, Picaridin, IR3535, and some oil of lemon eucalyptus products as being safe and effective. Use infant seat/stroller screen covers on babies younger than 2 months, and only EPA registered repellents on older children. Oil of lemon eucalyptus should not be used on children younger than three years of age. Check water collected in rain barrels and buckets as these can breed hundreds of mosquitoes every week. If larvae are detected, dump the water onto lawns where the immature mosquitoes will die (do not pour into gutters or streets).Discard or seal these containers against future mosquito problems. The Greater Los Angeles County Vector Control District (GLACVCD) is one of five mosquito and vector control district in Los Angeles County. The public health agency services approximately 6.8 million residents in a 1,340 square mile area, making GLACVCD the largest vector control district in Los Angeles County. Service programs including controlling mosquitoes, aquatic midges and simulium black flies.